Discoveries like this may not look like much, but they're very important. 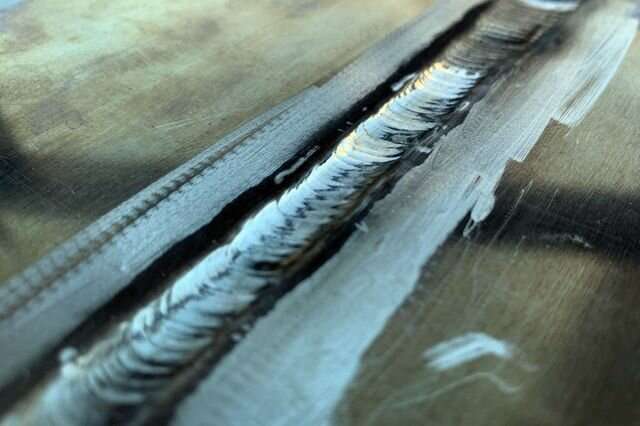 Being able to weld this alloy means structures built with it are likely to be stronger and lighter than they would otherwise be with fasteners. This illustrates the difference between science and technology. 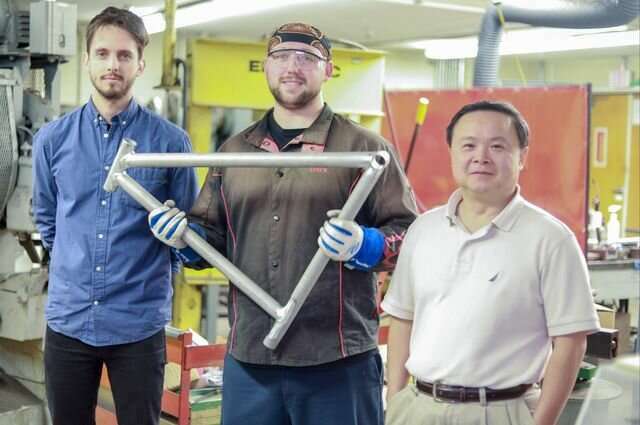 Science made this alloy; technology will now make it useful. They made the frames out of 7075 because they could weld it. These will be 10-pound mountain bikes. They might be able to make 1000-pound (half a tonne, for those who think in metric) cars as strong as the ones we have now that weigh twice or three times as much. Think what that will do to the range of electric cars. I have a salamagundi bike with a metal matrix frame. Tubes are joined with gussets or lugs? Perhaps some 7075 frames were made this way. Thanks @pntaylor, I had no idea. The problem with 7075 apparently is brittleness and cracking, along with the welding problem. Learn something new every day. Is this kind of joint sensitive to fatigue? As far as aircraft are concerned a loss of fatigue strength compared to the parent metal makes this kind of joint unacceptable. Think what that will do to the range of electric cars. Makes sense if you think about it: ICE cars convert all the energy they use to accelerate into heat when braking. EVs, however, use regen. Heavier EVs need more energy to accelerate but also recoup more - for the same reason. Most energy is used to stay at a specific speed - and that isn't dependent on weight at all* according to Newton but only on aerodynamics. *there exists a weight-dependent factor: tire deformation. But that is relatively minor in the overall energy calculation. So saving, say, 200kg on the weight of a car would net you (in an EV) just over 1% more range. Sounds like titanium carbide nanoparticles would be an excellent candidate for 3D printing. If it forms joints that strong, then it could be powdered, along with the welding wire material, and fed into a 3D deposition process. 7075 Aluminum alloy has a tensile strength of about 70 KSI compared to a reasonable low carbon steel after heat treatment of at least 180 KSI. That shows that your statement about them having similar strengths is inaccurate. It might be applicable if one is comparing this aluminum (after heat treatment of course) with the basic steel that has not yet been so treated! If we compare the strength/weight of these two materials when used correctly there is a small advantage in aluminum providing fatigue considerations are not included.